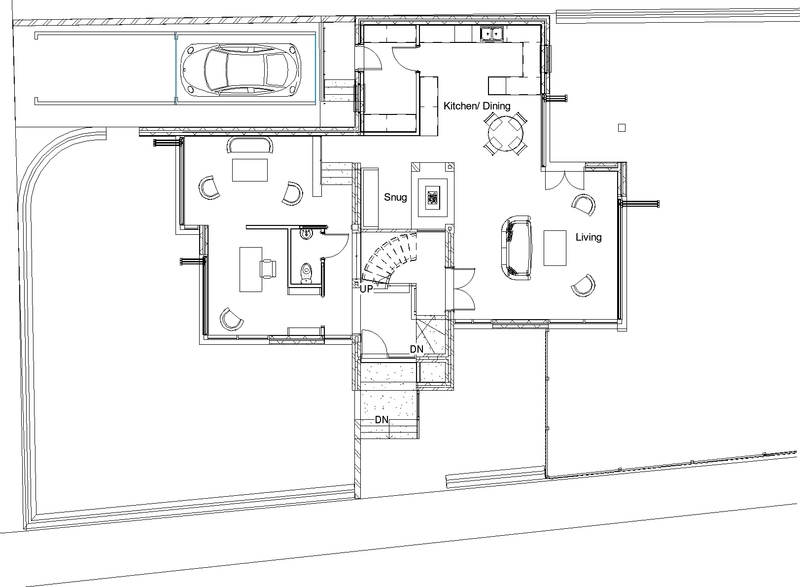 Our client owned a bungalow holiday home in Tankerton, which had suffered serious subsidence. On balance, the existing structure was no longer viable so she wanted to replace it with a new modern house. The house stands on a corner plot so has two street frontages and also a side elevation to a private lane and slopes about two metres from west to east. In effect, a new house would have the potential to face three different garden areas to the east, south and west. 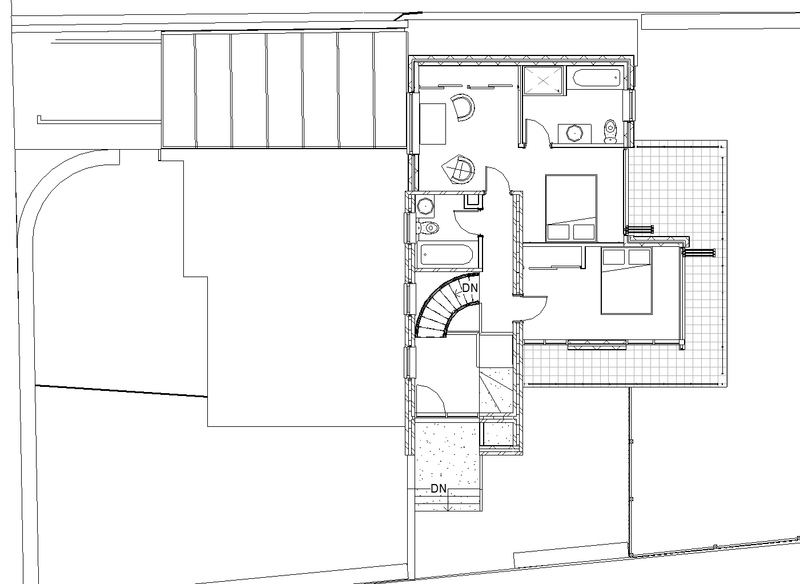 Our response has been to design a house arranged around a central core, which incorporates vertical circulation, bathrooms and also a firepit and hearth, the true centre of the home. The ground floor is split level so there are three floors, lower ground, upper ground and first. The master bedroom at first floor includes a terrace facing east for morning light and a dressing room/ snug facing west to view the dramatic Whitstable sunsets. Click on the images below to view them as panoramas.